Karan Jonar, Sonam Kapoor and others come in support of Neha Dhupia, after being fat shamed post pregnancy. Bollywood actress Neha Dhupia, who got married to actor Angad Bedi in May 2018, gave birth to a baby girl Mehr on November 18. After a short maternity break, Neha returned to work with her television projects as a host and judge. 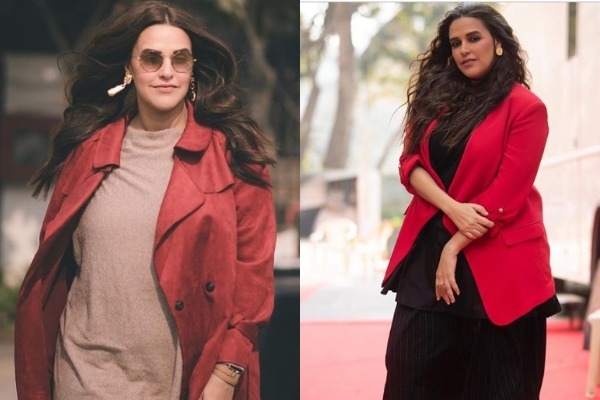 However, recently, a news publication highlighted her weight gain after pregnancy in an article that was distastefully headlined “Neha Dhupia Shocking Weight Gain Post Pregnancy at Femina Stylista West 2019”, which obviously left the actress infuriated. Now, Neha has never been one to take such things lying down. The 38-year-old actress gives befit reply to publication in her social media post. Onir, Karan Johar and actress Sonam Kapoor responded to Neha’s post on Twitter. On the professional front, Dhupia was last seen on the big-screen in Kajol’s film ‘Helicopter Eela’. The actress has been otherwise busy with her chat show ‘No Filter Neha’ and the latest season of the hit TV reality show ‘Roadies’.